Payday feels like one of those franchises that is only one or two iterations away from fulfilling its potential. If I had to guess, Payday 4 will probably be a real contender for game of the year in the not-too-distant future. 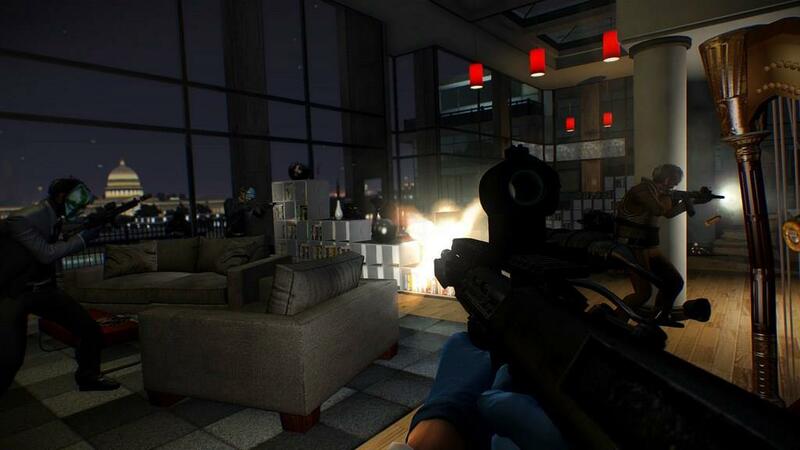 Until that day comes, we are stuck with Payday 2, the mostly enjoyable sequel to Overkill Software's 2011 breakout hit. In case you missed Payday: The Heist, this is a series of first-person shooters in which players steal jewelry, rob banks, damage property and pull off increasingly complicated jobs for big money. 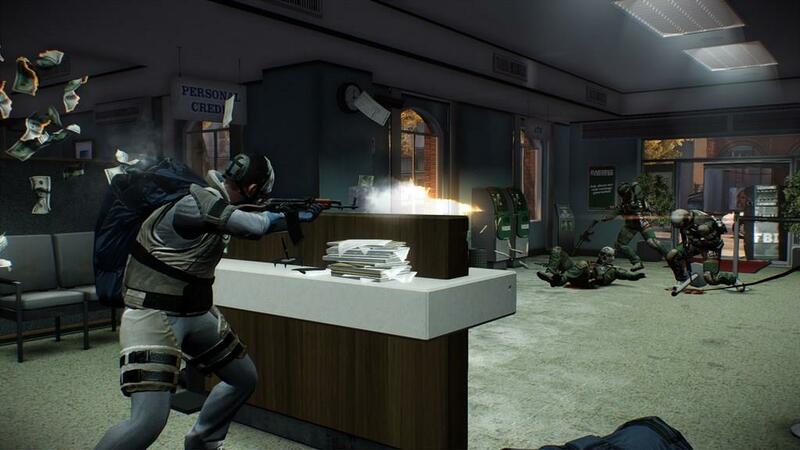 Instead of making it all about shootouts with the police, the Payday franchise encourages players to work as a team to pull off the perfect heist. Can you get away without alerting the authorities? Probably not, but it is fun to try. Instead of stringing the action together with a linear story, players choose from a series of jobs that act as their own vignettes. Some jobs are incredibly simple, like storming a jewelry store or wreaking havoc in the mall. Other jobs require much more planning, even extending into multiple days that take place in entirely different locations. There's a lot of variety to choose from. Each of these jobs is built to be replayed dozens of times. The game does a good job of randomizing level layouts and civilians, so even veteran thieves will need to stay on their toes. There are also different difficulties for the 11 stages, which does a good job of adding new obstacles and mixing things up. Each of the game's 11 stages will take players to completely different locations with their own set of challenges. For example, robbing four stores is decidedly different from hitting a nightclub. Another stage will have players nabbing from a fine art at the museum. Another job involves stealing technology and planting drugs in a mansion. Many stages will require players to carry bags of money and other heavy items to the getaway van. But don't think you can run with that bag full of cash, because movement is severely limited while carrying large items. The screen literally tilts to the left and running is disabled until you either drop the bag or make it to the goal. Each successful job comes with money and experience points, which can be used to develop the ultimate thief. There are several different classes to throw points into, including the mastermind, enforcer, technician and ghost. Instead of sticking with only one class, players can mix and match, offering a shocking amount of customization possibilities. The skills you earn from leveling up are important, often changing the way you interact with the stage. A good example of this involves safe-cracking, which normally involves everybody watching a drill destroy the lock. But eventually you can skip the drilling process by blowing it up. Or perhaps you can use your sneaking skills to find a keycard that opens it without disturbing the customers. Thankfully the core gameplay is fun, because otherwise leveling up would be a real grind. The developers hope players will stick with the game for dozens (if not hundreds) of hours, and, as such, many of the most exciting abilities and perks are reserved for those that put in the time. That's good for players that get addicted and plan on replaying stages for months to come, but it also means that a large chunk of this game involves waiting to unlock better skills. No matter how much time you put into it, it's almost impossible to pull off the perfect heist. I suppose that will come as no surprise to anybody who has watched a movie in the past 50 years. With security cameras, pesky customers with cell phones, trip wire, metal detectors, nosy people on the sidewalk and countless other obstacles to keep track of, it's a Herculean task to get away without the cops showing up. Like it or not, most levels will eventually devolve into a shootout with the police. 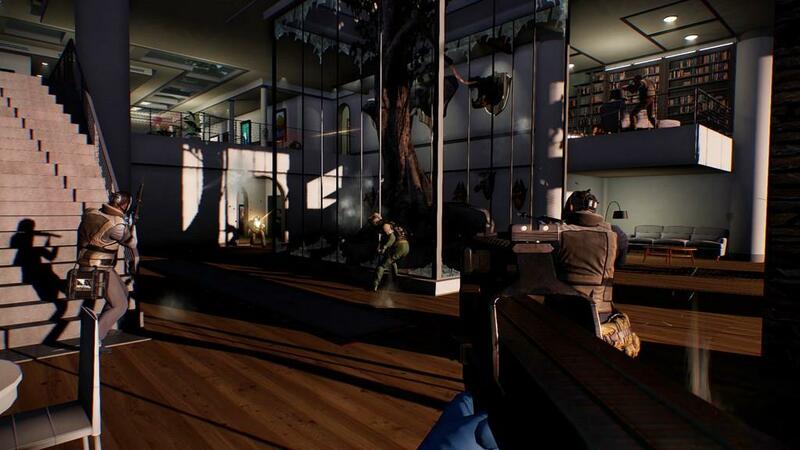 Thankfully Overkill Software has completely retooled the shooting mechanics, addressing one of the key complaints with the first installment. While not on the level of Halo or Call of Duty, I enjoyed the gunplay in Payday 2. 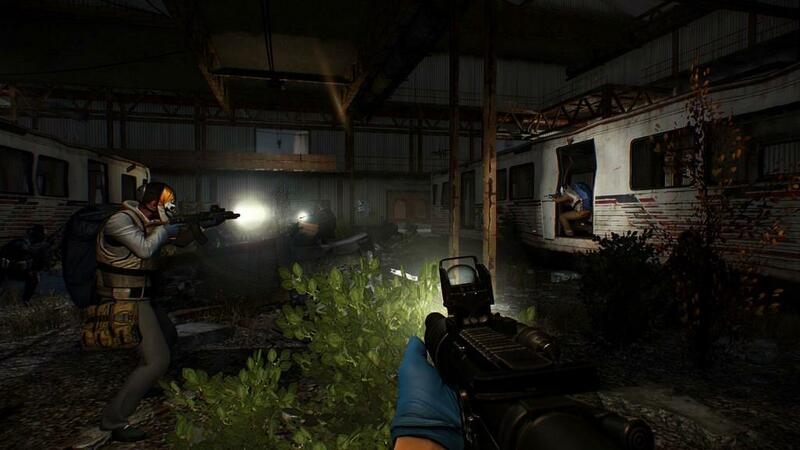 The game even allows players to buy upgrades and mods for a whole host of real-world weapons. 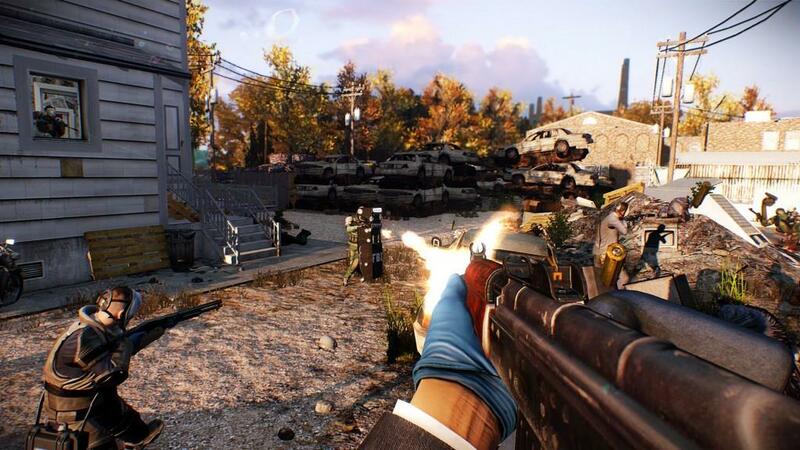 With their attention focused on fixing gameplay problems, the developers forgot to make Payday 2 accessible for new players. Each stage is purposely complicated, requiring players to try them multiple times to figure out the lay of the land and not set off the alarms. I quickly discovered that online strangers were not very welcoming to first-time players. Unfortunately, playing the game solo is all but hopeless. The three computer-controlled characters are the very definition of useless. With the sole exception of shooting at cops, these AI players are good for nothing. They won't carry bags of money or tie up hostages. And worst of all, they get in the way and trip the alarms. You would be better off by yourself, but that isn't an option. After countless attempts across multiple stages, I found that I was unable to complete most heists by myself. There were a few easy jobs that I could get through, but even those were hairy. With an online mode that is uninviting to newcomers and a single-player mode that is next to impossible, I found myself stuck in a no-win situation. Thankfully I found a person on my Xbox 360 friends list that was having the exact same problem, and together we had a good time robbing banks and shooting at cops. Accessibility is something the developers will need to address moving forward. A lot of the problems can be addressed by giving the player control over the AI characters. Issuing squad commands or simply moving computer-controlled players into place is a must, especially if you want to have a fighting chance playing by yourself. As I played through the stages over and over, I started to notice all the ways I couldn't interact with the world. I couldn't shut doors or tell the hostages what to do. I couldn't pick up weapons and items. I couldn't create a blockade to keep the police from rushing in. I couldn't dress up as a worker and confuse everybody. There are so many things you can't do in Payday 2. These are additions that will surely happen in future installments, which gives me a lot of hope and optimism for the future of this series. I look forward to seeing how Payday evolves with the new hardware and desire for more interactivity. Like I said at the top, Payday 4 is going to be amazing. Despite the solid design and interesting levels, it all comes down to whether or not you find friendly people to play with online. The game's single-player is frustrating at best and playing with strangers comes with its own set of perils. It's a shame, because under the right conditions, Payday 2 is one of the most enjoyable multiplayer games of the year. 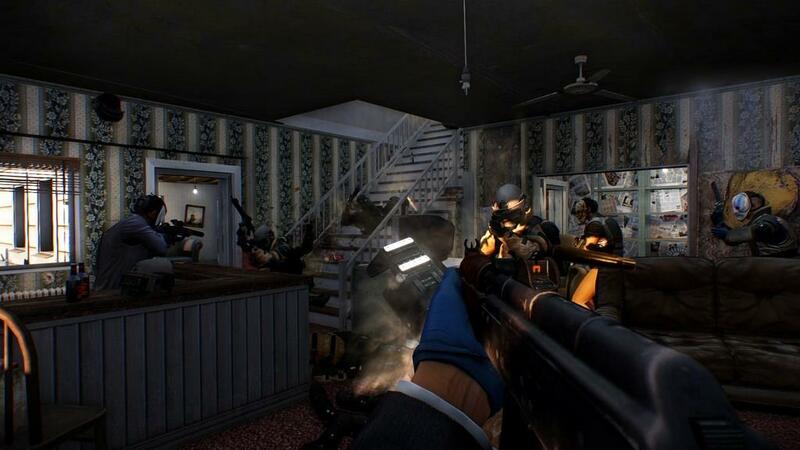 With friends, Payday 2 delivers a multiplayer experience unlike anything else. The levels are wonderfully complicated and the leveling system is incredibly deep. Too bad the learning curve keeps the game just out of arm's reach for most newcomers. A rough single-player mode and unfriendly online matches mar an otherwise fun first-person shooter.